Oral Maxillofacial Implantologist, specializes in treating the hard and soft tissues injuries and defects in the head, neck, face, jaws region. Our in-house specialist can perform wide range of procedures from minor (including wisdom teeth removal, dental implants, oral pathology, surgical extractions, etc.) to major reconstructive (maxillofacial implants, orthognathic/corrective jaw surgery, trauma, cleft palate, obstructive sleep apnea) procedures. Oral and maxillofacial surgeons are licensed to administer office-based anaesthesia, including local anaesthesia, conscious sedation, intravenous sedation, and general anaesthesia, providing a range of options for the comfort and safety of our patients. Dental implants are changing the way people live. They are designed to provide a strong foundation for replacing teeth that look, feel, and function like natural teeth. Dental implants can help a person suffering with loss of teeth regain the ability to eat virtually anything. Not just that it appears just as natural and helps retain the facial contours enabling our patients to smile again with confidence. The implants are tiny titanium posts that are surgically placed into the jawbone of a patient where the teeth are missing. These metal anchors act as tooth root substitutes. The bone bonds with the titanium, creating a strong foundation for artificial teeth. Small posts that protrude through the gums are then attached to the implant. These posts provide stable anchors for artificial replacement teeth. The most important function of the implants apart from the aesthetics that it helps preserve the facial structure, preventing bone deterioration that can occur when teeth are missing. Corrective jaw surgery is needed when jaws don’t meet correctly, or teeth don’t seem to fit with jaws. In such scenario teeth are then straightened with orthodontics intervention and corrective jaw surgery repositions a misaligned jaw. This can massively improve the facial appearance at the same time also ensure that teeth meet correctly and function properly. People who can benefit from corrective jaw surgery include those with an improper bite or jaws that are positioned incorrectly. Jaw growth is a gradual process, and, in some instances, the upper and lower jaws may grow at different rates. The result can be a host of problems that can affect chewing function, speech, long-term oral health and appearance. Injury to the jaw and birth defects can also affect jaw alignment. Orthodontics alone can correct bite problems when only the teeth are involved. Orthognathic surgery or Jaw surgery may be required for the jaws when repositioning is necessary. Wisdom teeth are the last teeth to erupt within the mouth. 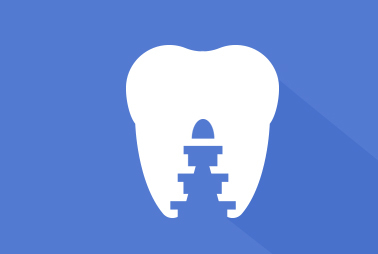 When they align properly, and gum tissue is healthy, wisdom teeth do not have to be removed. Unfortunately, this does not generally happen in most cases. The extraction of wisdom teeth then becomes necessary when they are prevented from properly erupting within the mouth. They may grow sideways, partially emerge from the gum, and even remain trapped beneath the gum and bone. Impacted teeth can take many positions in the bone as they attempt to find a pathway that will allow them to successfully erupt. 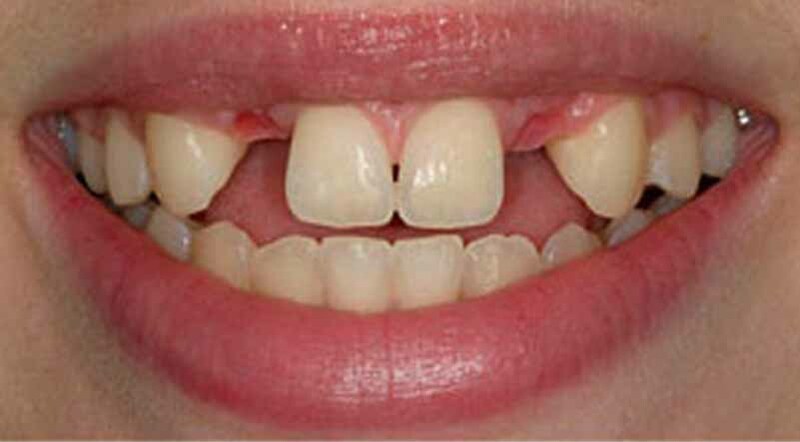 These poorly positioned impacted teeth can cause many problems. When they are partially erupted, the opening around the teeth allows bacteria to grow and will eventually cause an infection. This can result in swelling, stiffness and pain. The pressure from the erupting wisdom teeth may move other teeth and disrupt the orthodontic or natural alignment of teeth. The most serious problem occurs when tumors or cysts form around the impacted wisdom teeth, resulting in the destruction of the jawbone and healthy teeth. Removal of the offending impacted teeth usually resolves these problems. Early removal is recommended to avoid such future problems and to decrease the surgical risk involved with the procedure. Oral Maxillofacial surgeons are dental specialist who can perform the proper treatment of facial injuries. They are professionals trained in emergency care, acute treatment and long-term reconstruction and rehabilitation – not just for physical reasons but emotional as well. Oral and maxillofacial surgeons are trained, skilled and uniquely qualified to manage and treat facial trauma. Injuries to the face, by their very nature, impart a high degree of emotional, as well as physical trauma to patients. The science and art of treating these injuries requires special training involving a “hands on” experience and an understanding of how the treatment provided will influence the patient’s long-term function and appearance. There can be several possible causes of facial trauma such as motor vehicle accidents, accidental falls, sports injuries, interpersonal violence, and work-related injuries. Types of facial injuries can range from injuries of teeth to extremely severe injuries of the skin and bones of the face. Typically, facial injuries are classified as either soft tissue injuries (that is to the skin and gums), bone injuries (fractures), or injuries to special regions (such as the eyes, facial nerves or the salivary glands). For more information, or to make an appointment, call Wassan Speciality Dental Center, Phone Number +968-244 89469 / 244 75008 today! Sometimes during pregnancy, separate areas of the face while developing do not join properly, sections don’t meet, and the result is a cleft. If the separation occurs in the upper lip, the child is said to have a cleft lip. A completely formed lip is important not only for a normal facial appearance but also for sucking and to form certain sounds made during speech. A cleft lip is a condition that creates an opening in the upper lip between the mouth and nose. It typically looks as though there is a split in the lip. It can range from a slight notch in the colored portion of the lip to complete separation in one or both sides of the lip extending up and into the nose. A cleft in the gum may occur in association with a cleft lip. This may range from a small notch in the gum to a complete division of the gum into separate parts. A similar defect in the roof of the mouth is called a cleft palate. Cleft lip surgery is usually performed when the child is about ten years old. The goal of surgery is to close the separation, restore muscle function, and provide a normal shape to the mouth. The nostril deformity may be improved because of the procedure or may require a subsequent surgery. Cleft palate surgery is initially done when the child is between 7 to 18 months old. This depends upon the individual child and his/her own situation. The major goals of surgery are to firstly Secondly to reconnect the muscles that make the palate work and lastly to make the repaired palate long enough so that the palate can perform its function properly. What to expect after the cleft palate surgery? People with obstructive sleep apnea (OSA) have disrupted sleep and low blood oxygen levels. When obstructive sleep apnea occurs, the tongue is sucked against the back of the throat. This blocks the upper airway and stops airflow. Because of this, the oxygen level in the brain becomes low and causes the patient to partially awaken, aiding in clearing the obstruction in the throat and the flow of air re-starts. Repeated cycles of decreased oxygenation can lead to very serious cardiovascular problems and not just that individuals suffering from OSA may feel sleepy excessively during daytime, suffer from depression, and even have loss of concentration. Sleep Apnea Treatment: The first step in treatment of obstructive sleep apnea resides in recognition of the symptoms and seeking appropriate consultation. Our in-house oral and maxillofacial surgeon offers consultation and treatment options. In addition to a detailed history, the doctors will assess the anatomic relationships in the maxillofacial region. With skull x-ray analysis to ascertain the level of obstruction. To confirm the amount of cardiovascular compromise and decreased oxygenation levels, a sleep study may be recommended to monitor an individual overnight. With advances in the field there are several treatment options available. An initial treatment may consist of using a nasal CPAP machine that delivers pressurized oxygen through a nasal mask to limit obstruction at night. Second option is a surgical option known as the uvulo-palato-pharyngo-plasty (UPPP), which is performed in the back of the soft palate and throat. A similar procedure is sometimes done with the assistance of a laser and is called a laser assisted uvulo-palato-plasty (LAUPP). In other cases, a radio-frequency probe is utilized to tighten the soft palate. These procedures usually performed under light sedation in the office. It is important to understand that Sleep Apnea is a very serious condition that needs careful attention and treatment. TMJ (temporomandibular joint) disorder is a complex problem related to the jaw joint. If you have symptoms like pain or a “clicking” sound in your jaw, you’ll be glad to know that these problems are more easily diagnosed and treated than they were in the past. This happens when the joints of the jaw and the chewing muscles do not work together correctly. TMJ stands for temporomandibular joint, a joint on both right and left side of your skull that connects your jaw. TMJ disorders are not uncommon. Individuals with a TMJ disorder may experience a variety of symptoms, such as earaches, headaches and limited ability to open their mouth. Once the symptoms of TMJ trouble appear, it recommended to consult an Oral and Maxillofacial surgeon. A specialist in the areas of the mouth, teeth and jaws, an OMS is in a good position to correctly diagnose the problem. Treatment of TMJ may range from conservative dental and medical care to complex surgery. Depending on your diagnosis, treatment may include short-term non-steroidal anti-inflammatory drugs for pain and muscle relaxation, bite plate or splint therapy, and even stress management counselling. If non-surgical treatment is unsuccessful or if there is clear joint damage, surgery may be indicated. We would recommend performing an oral cancer self-examination monthly and remember that your mouth is one of your body’s most important warning systems. Do not ignore suspicious lumps or sores and visit us at the earliest for a detailed investigation. During an oral cancer exam, you doctor will examine the tongue and insides of your mouth to check for red or white patches or sores, feel the tissues of the mouth to check for lumps or other abnormalities. Once the tactile inspection of your soft tissues is done, a biopsy or removal of tissue further for oral pathology might be recommended. The analysis will determine whether treatment is necessary and if required doctor can recommend your treatment options.